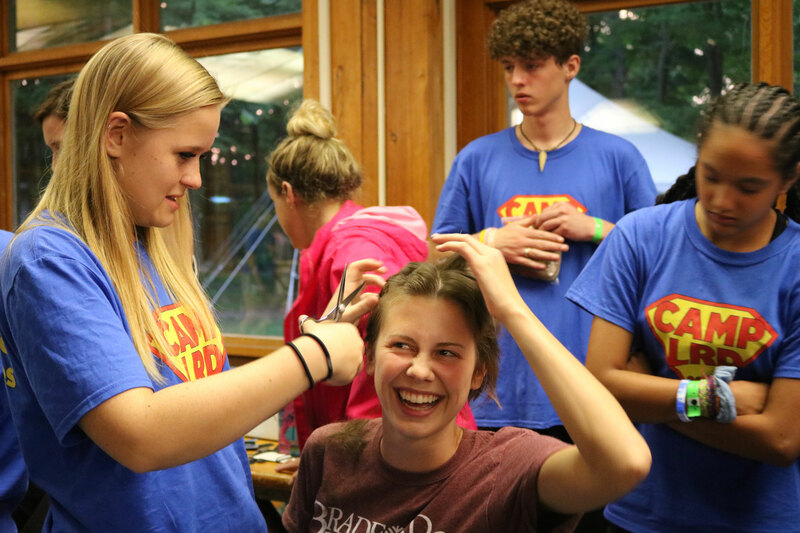 In addition to hosting our own camps, our Recreation Therapy department also partners with a number of other organizations to host and operate medical camps during the summer months. Thanks to our partners, we're also able to reach a wider range of campers with our programs, including campers with tracheotomies that require mechanical breathing assistance, campers with autism, and campers in treatment for or in remission from cancer. Read below for a full list of partner camps. If you're interested in bringing your own camp to Bradford Woods, please get in touch with Lisa Elder, Director of Recreation Therapy. For children ages 6–18 with tracheostomies and those who require technological respiratory assistance. These campers are provided a traditional outdoor experience with a high staff to camper ratio. Learn more at the Champ Camp website. Designed for young people with autism ages 10–18. Campers are given the opportunity to work on coping and social skills while experiencing the outdoors in a fun and nurturing environment. Learn more at the Easter Seals Crossroads website. For children ages 8 to 18 who are in active cancer treatment or remission. It is a chance for children with cancer to have the same camp experience as any other child and to interact with other children facing similar experiences. Learn more at the Little Red Door camp website. For young adults ages 18 to 35 with physical disabilities who utilize wheelchairs see their potential and need to be an active part of society. Designed for campers with a high school diploma or equivalent education. Learn more at the Camp PossAbility website. Provides thousands of kids with muscular dystrophy and related muscle-debilitating diseases "the best week of the year." At MDA Summer Camp, kids are living beyond limits. Learn more at the MDA website.